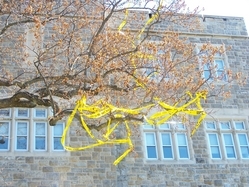 A large tree on the Virginia Tech campus has several ribbons tied around it. 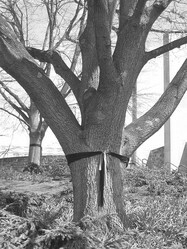 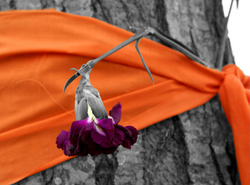 A large tree on the Virginia Tech campus has a simple orange ribbon tied around it. 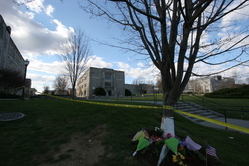 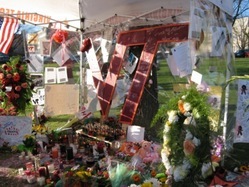 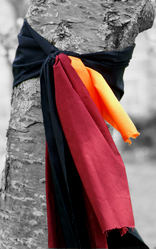 A large tree on the Virginia Tech campus has a simple maroon ribbon tied around it. 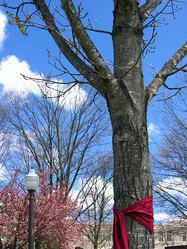 One of the many trees on the drillfield wrapped in remembrance.